When to plant: April–June. For best results, wait until nighttime temperatures are consistently warm. Fertilization: Overfertilization results in excessive leafy growth at the expense of flowers and fruit. Cage or stake plants to support expected growth. Indeterminate varieties can grow 6 feet tall or more. Water regularly but not excessively. Harvest tomatoes when fully colored and beginning to soften. 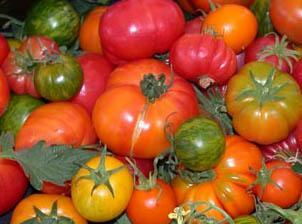 Also, see our list of Spring Garden Market Tomato varieties.